As small business owners and entrepreneurs – we’re always looking for ways to streamline our processes and increase efficiency in everything we do. Many times when I’m asked to do an audit of a company’s social media sites for recommendations – I usually always find companies cross posting their content to multiple social sites. Cross posting is where you create content on one social site – but then push that exact same content out as a post to other sites. Example: You post a Facebook status with a photo and have Facebook automatically push that same content to your Twitter feed. OR … you post a great photo on Instagram and instantly publish it on Twitter. 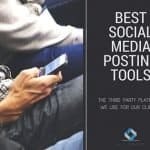 These are examples of cross posting social content. 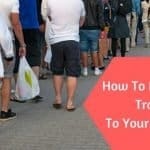 The truth of the matter is, most people don’t think ahead as to how the content you posted in one social site, will actually look to the user on another social site. Governor Nikki Haley allowed her Instagram post to also be published on Twitter. As I mentioned earlier – Instagram allows for more characters in a post than Twitter does – Twitter is limited to 140 characters including links (as of the date of this blog). Here’s what happened when you don’t consider how an Instagram post automatically published to Twitter might look. This was her original post on Instagram below which took on a completely different comment when automatically published to her Twitter feed! While rather embarrassing … you can see the importance of being mindful of your cross posting habits! Utilize 3rd party platforms to syndicate your content to all sites – but keeping in mind the cultures and limitations of each social sites. Twitter only allows 140 characters with links – make your text/content succinct, Facebook posts usually get better results with only 1 hashtag used. 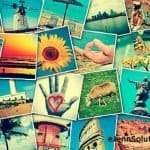 Instagram posts get better results with multiple hashtag uses … the list goes on. Keep your posts classy my business owner and entrepreneur friends!